Marigold flowers are very delightful flowers. They are annual plants that are easy to grow and can bloom the whole summer. With their bright colors, yellow, orange, red, and white, marigolds can really cheer up your gardens. Not to mention that the lively flowers are actually edible, too. The following might be interesting to you. The popular story was somehow religious as it tells about the Mother Mary that got attacked by robbers who then broke open her purse and found some yellow flowers. That explains why the flowers would then be called “marigold”—or Mary’s gold. However, that was only a story version. There is more to the flowers than meets the eye. Another story version is that in the 15th century the marigold flowers—that go by the botanical name “Tagetes”—were found in the lands of America. Having been indigenous to the Central and South America, the marigold seeds were taken across the Atlantic to Europe—France to be exact. There, the French marigold became popular by the name “Tagetes patula” while there are some of them went to the Africa Continent. The African marigold went by the name “Tagetes erecta” that would then be naturalized in North Africa. The European immigrants there thought the flowers were originally from the land. 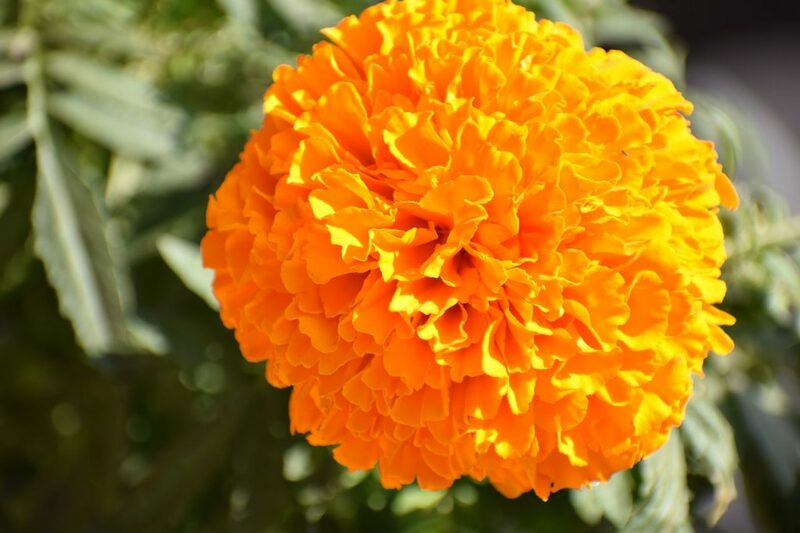 Marigold plant is classified into several varieties/types. The flower typically has large blossoms with a variety of petal colors like yellow, cream/off-white, and golden orange. They also differ in size. American/ African types are generally larger than the French one. “Aurora” series, a 1’ tall plant with wide blossoms resembling anemone and flushed in bright colors like yellow, maroon, and orange. “Hero” series which are 10” in height, with large, double blossoms. Its colors range from orange, yellow, and maroon. “Janie” series are early bloomers. The plants are 8” tall and are perfect to be potted. The marigold plant has double carnations in 6 different combos of the 3 main colors previously mentioned. “Safari” series are flat-topped 1’ tall plants with large blossoms flushed with yellow, maroon, and orange. “Gold Coin” series are 1½ to 2’ in height with large double blooms in yellow, gold, and orange. “French Vanilla” is a marigold plant with 3” wide blooms in creamy white and slight fragrance. 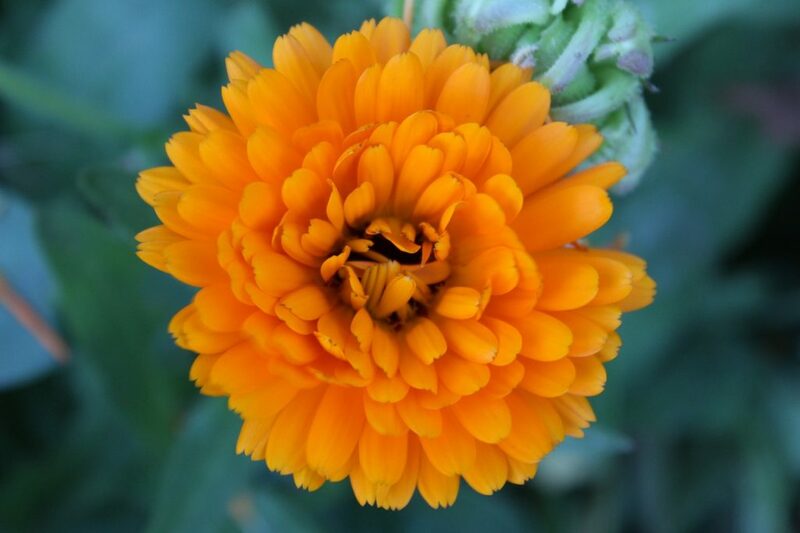 The rest types of marigold flowers are Signet/gem marigold (T. tenuifolia) and Mexican marigold (T. lucida). Both are widely known as edible marigolds and marigolds in garden—since they are also used as borders to prevent pests there. T. lucida is even used as herbal medicine and culinary herb since it also tastes like tarragon. 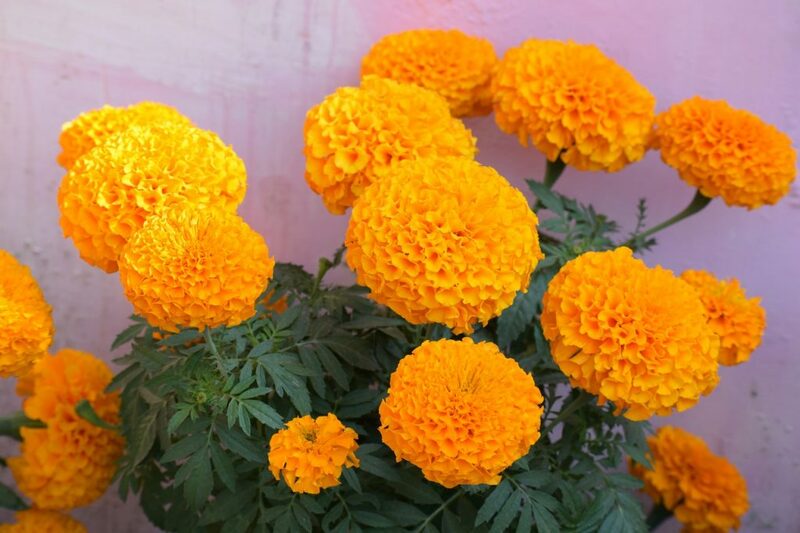 Being native to Central America and Mexico, this type of marigold flowers is also popular with names, such as Mexican mint marigold, sweet-scented marigold, Mexican tarragon, and Texas tarragon. The flower is usually used in religious celebration to honor Mother Mary of the Christians. It is also often related to the sun—for its blooming time which is when the sun rises and for its cheerful, right colors of gold and yellow. 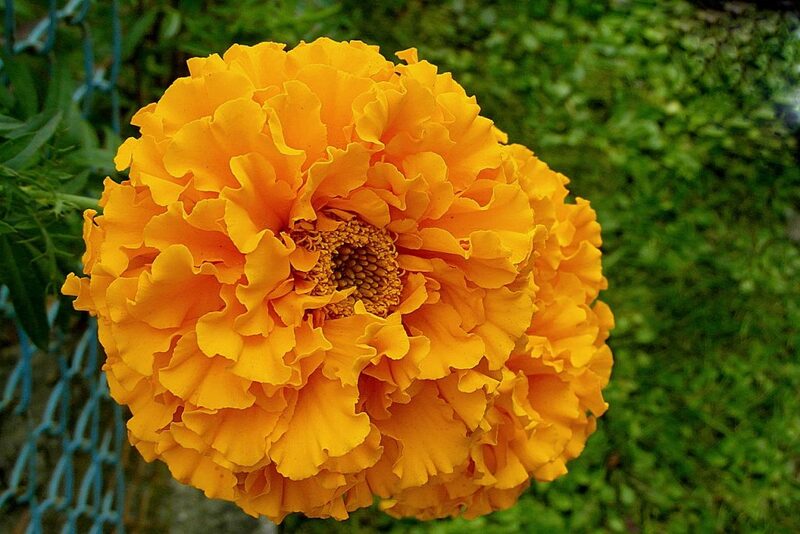 Therefore, marigold flowers are also called “the sun’s herb”, symbolizing strong passion, motivation, and creativity. Despite the fact that marigolds—as the October birth month flowers—are also believed to be a symbol of mourning, cruelty, and jealousy over the beloved ones, they remain used in wedding ceremonies as decorative plants. That is because, on the other side, the flowers represent freshness, wealth, optimism, and beauty, as well. Speaking of the use of marigold flowers, you will not stop on only one purpose. 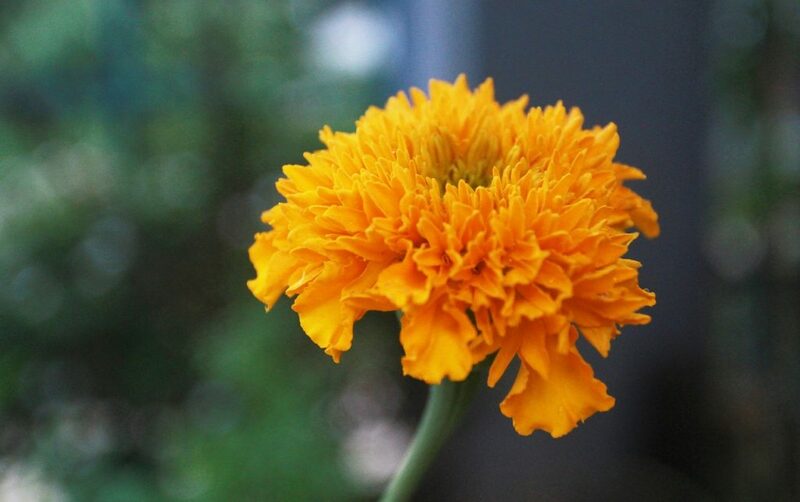 Starting with the ancient Greeks who used to have the flowers for feeding—yes, we have previously mentioned that marigolds are edible, Indians and Pakistanis also use them to dye clothes or flower strings for harvest celebrations. Marigold flowers are often used as a substitute to saffron to add yellowish colors to the dish—particularly to make yellowish rice. The flowers taste mildly sour and slightly spicy you can add them in a savory dish, such as salads, quiche, or fries. Tear the flowers apart and get rid of the white and green parts. Add the petals to any dish you feel suits to their taste. You can even add them to desserts like homemade shortcakes, smoothies, or ice creams. 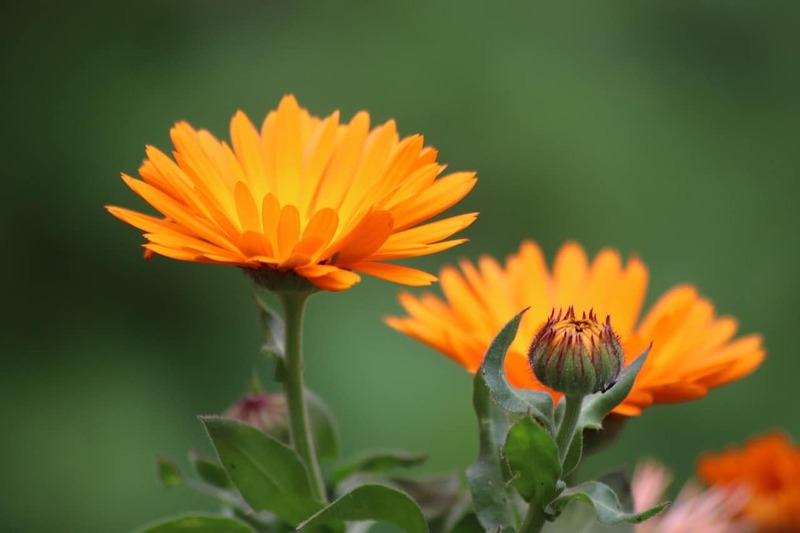 All types of marigold flowers are actually edible—including calendula flowers, or potted marigolds, but not all of them are tasty. T. patula/French marigold, T. lucida/Mexican marigold, and T. tenuifolia/Gem marigold are more recommended for the best flavor. Still want more? Marigold flowers are also used as herbal medicine to heal fever, sore throat, and cramps. Just brew two teaspoons of the petals in eight ounces of boiled water to make some tea drink. Tasting a little bland, you may enhance it with some lemon leaves or mint leaves. Furthermore, many gardeners, farmers, and ranchers might be grateful for the finding of marigolds. The flowers are also functional to avoid pests from coming to the gardens or farms—especially rabbits that hate the plant’s scent. Not to mention that the flowers can also get rid of nematode—a type of pest worms—diseases in the soil. Ranchers may also feed the bright colored marigold blooms to their chickens to improve their egg yolk color. Marigold flowers are worth growing for, as they are great for both decorative and garden plants. The plants need not much to care for and are easy to grow. Beside their joyful colors, blooming through the whole summer, marigolds are also capable of being pest repellent and soil fertilizer! Can they be any greater? Planting is as easy as ABC—you may start growing marigolds from their seeds. Sow the seeds right in the ground of your garden or in pots indoor just several weeks before winter season ends. Therefore, this marigold planting is perfect for a “go-green” project with young kids and amateur gardeners. For pro gardeners, they can start sowing seeds 6-8 weeks prior to the end of winter and transplant them into the soil for satisfactory results. Now, that you have known much about marigold flowers. Don’t wait up, grow or buy them, and have fun with the delightful beauties!